This one is Kwik Sew 3462, which I think comes closest to the Coldwater Creek sweater. Strangely enough, Kwik Sew thinks this pattern should be made up in woven fabric. Go figure! It would be perfect in knit. Another Kwik Sew, this one 3285. This one is designed for knits. A little different style of drape in front, but another good choice. 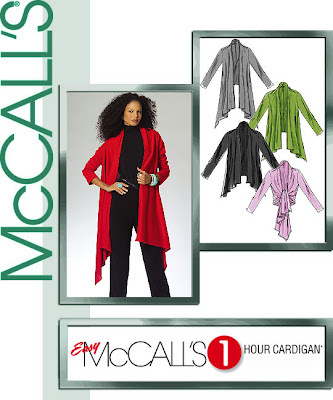 McCall's 5241. If you shortened it some, it would be close to the Coldwater Creek sweater. 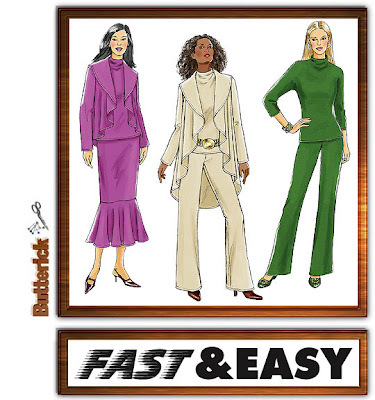 Butterick 4673. This one's similar, and the pattern includes the skirt, pants, and top as well. Unfortunately, I think the skirt and pants are "meh," but the cardigan and top are good. 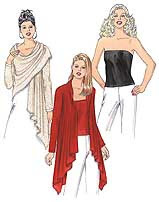 Yet another way to do a drape front, this time with a curve. Vogue 8305. I've seen this one featured in some other blogs. A nice wardrobe that I could see in a fine gauge wool jersey. Didn't Vogue have a suspiciously similar wardrobe pattern last year though? I think it's in my pattern stash, so I probably won't be buying this although it looks great. I've seen a lot of similar styles in RTW (at least in the RTW catalogs I regularly look at). Depending on fabric, this is a look that could go sophisticated or casual, wouldn't require too much fitting, and make up quickly. 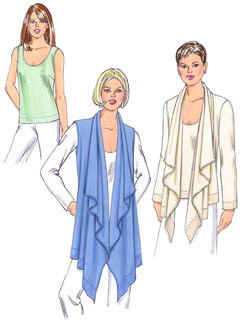 I do like these, especially the Butterick. I usually don't even look at those, either, so thanks for posting these pictures. I like the Butterick too. 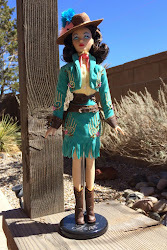 Even though I already have the 1st Kwik Sew and a similar Vogue, I'm thinking about puchasing.